Dressage competitors from across the country will be stepping onto the national stage at the US Dressage Finals. Top qualifiers from across the country will be competing in a national head-to-head championship that showcases competitors in adult amateur and open divisions, at Training Level through Grand Prix. Held at the prestigious Kentucky Horse Park, November 7-10, 2019, the US Dressage Finals is a Level Five Competition, the highest level of competition under United States Equestrian Federation rules. Optional VIP seating packages will be available soon. USDF Dressage in the Bluegrass offers non-championship classes. All competitors are welcome to compete in these classes, including those who are not competing in US Dressage Finals classes. Spectators, guests, and competitors alike will enjoy shopping the Trade Fair held in the Alltech Arena and visiting Kentucky Horse Park attractions like the Museum of the Horse, the Man O' War memorial, and the USDF and USEF headquarters. The Kentucky Horse Park's (KHP) first class facilities are known nationally, through the Alltech/FEI World Equestrian Games. 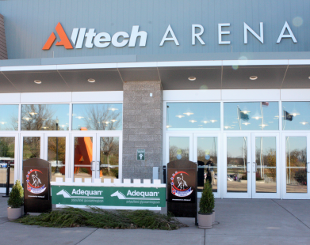 Many of the US Dressage Final's championship classes will be taking center stage in the Alltech Arena. For a list of nearby accommodations go here. 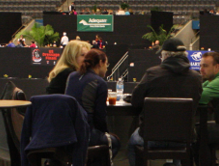 General admission to the US Dressage Finals is free and spectators are welcome. Optional VIP seating packages are now available here. Upon entrance to the Kentucky Horse Park, parking rates will apply. For those interested in touring the Kentucky Horse Park there is a General Admission fee. For more information on KHP fees please visit their website. 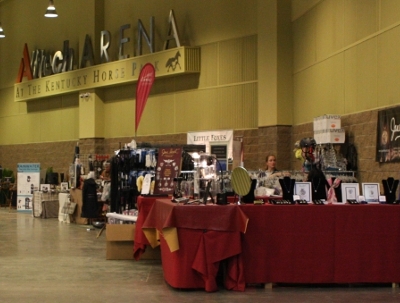 Our vendors and sponsors will be on hand to meet all of your holiday shopping and horse health information needs!